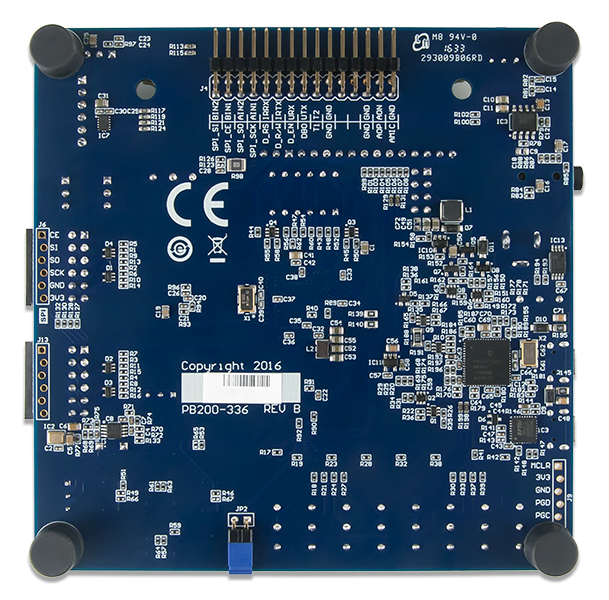 The Basys MX3 is a true MCU trainer board designed from the ground up around the teaching experience. 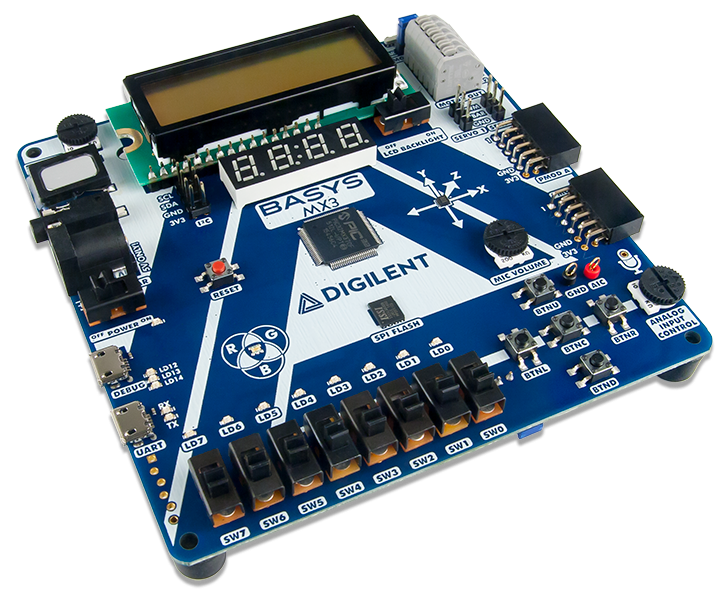 Basys MX3 features the PIC32MX370 from Microchip and was designed to be used with the MPLAB® X IDE. 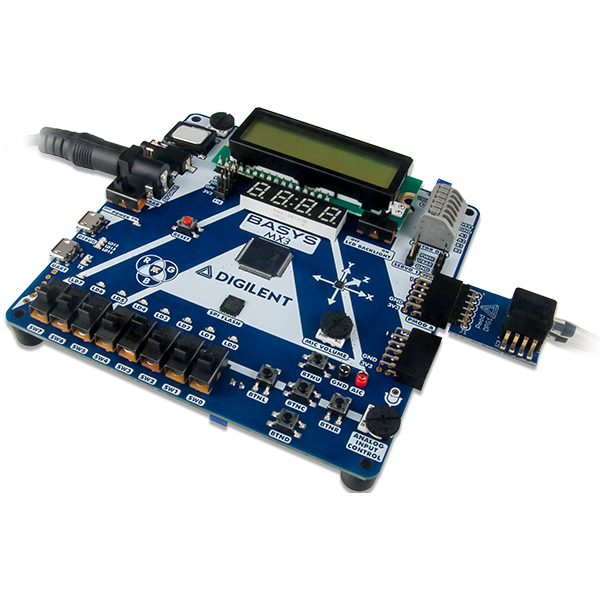 With an exhaustive set of peripherals, students gain exposure to a wide range of embedded systems related concepts while using a professional grade tool set. 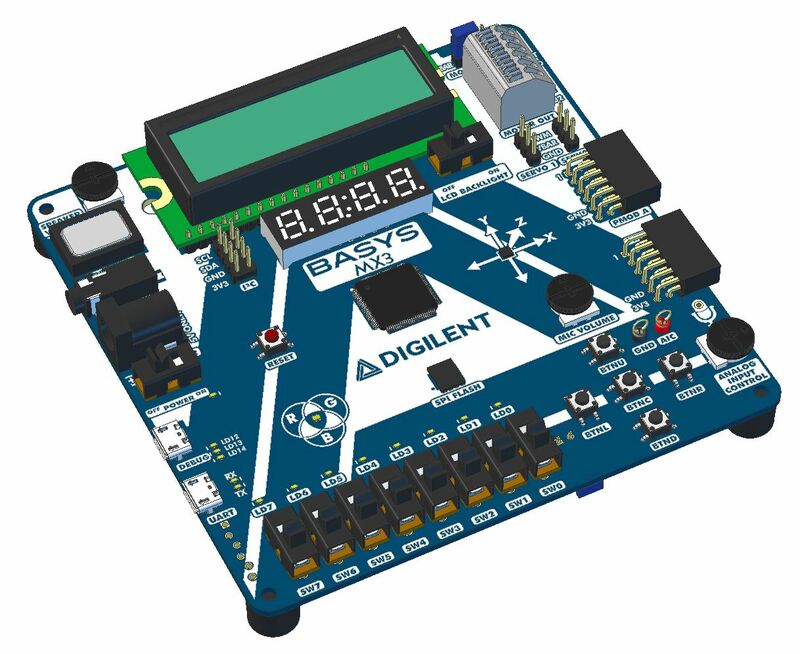 Accompanied by free and open source coursework, including seven in-depth teaching units and 15 complete labs, the Basys MX3 is a versatile MCU trainer board ideal for teaching introductory embedded systems courses. 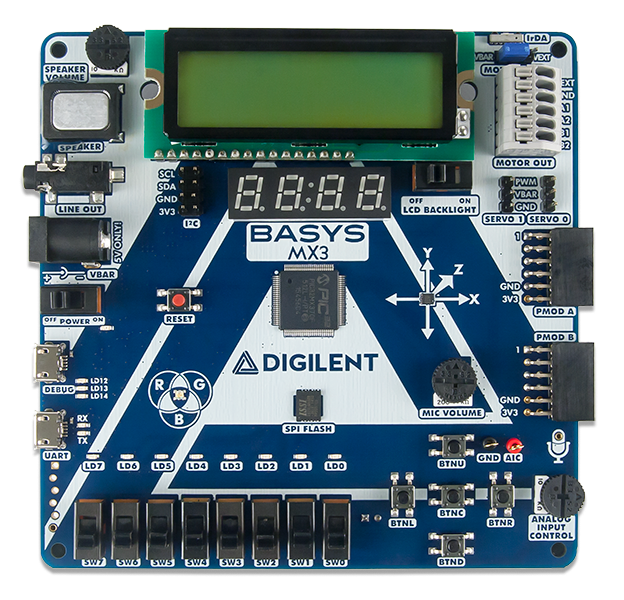 Hands On with the Digilent Basys MX3 – Labs created by Dr. Greg Mason for a workshop at ASEE Conference 2018. Educators that have a verified account through Digilent will have access to download the the solutions for the course material.